This is the flock’s classic, modern, curved profile with its centre dart done with zig-zag ‘baseball’ stitching in the very popular Burnt Orange colour — which goes with everything. 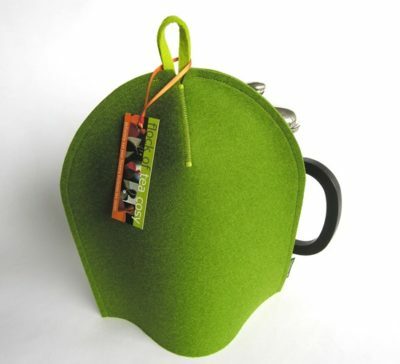 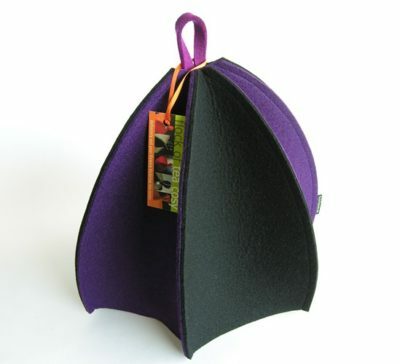 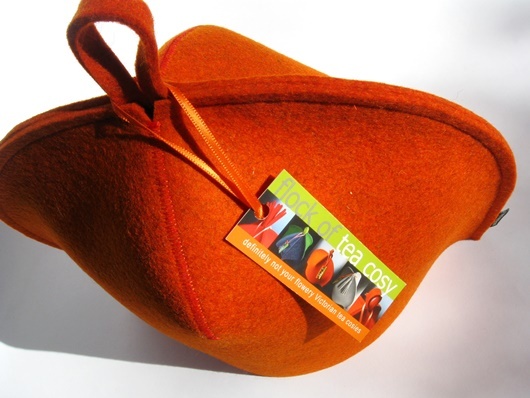 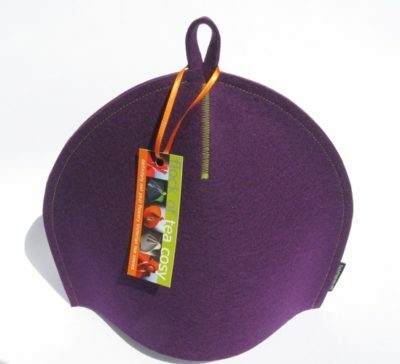 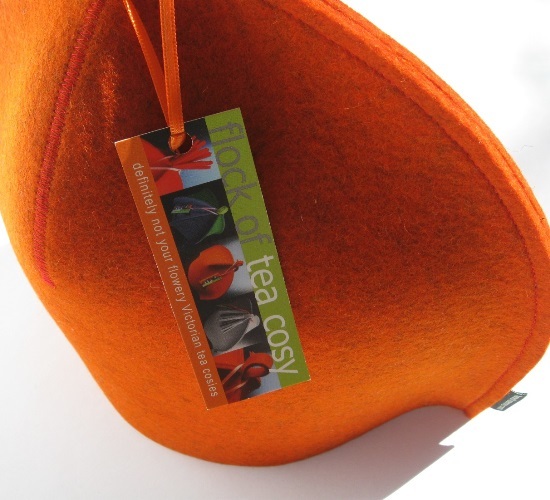 Made from 3mm-thick, 100% wool felt from Europe, which has a lovely hand-feel — so important in a tea cosy, don’t you think? 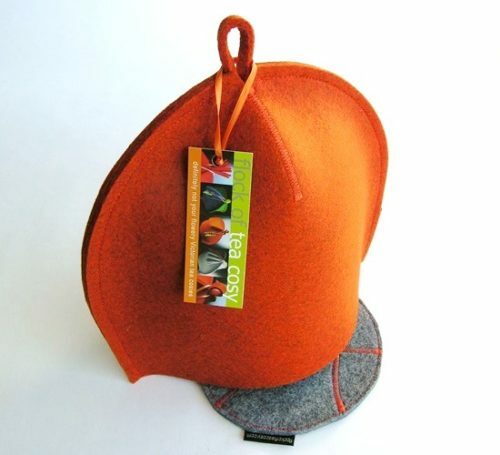 Front and back are the same.